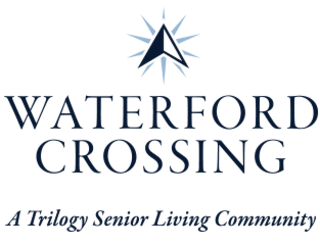 At Waterford Crossing, we believe that a life well-lived is one rich in experiences, surrounded by people who have your best interests at heart. In our specialized Memory Care neighborhood, we offer compassion and support to seniors with memory loss, as well as their families. Private suites, specialized programs, and the most advanced features are combined to create an atmosphere that promotes comfort for every resident. In our Memory Care neighborhood, days that were once filled with confusion and fear can now be enjoyed, and hearts that were once heavy with concern can find peace. Caregivers in our Memory Care neighborhood understand that those with memory loss need unique care and support. They know that it's important to learn their past, to respect their individuality, and to be patient if they become frustrated or confused. They also know that clinical care and compassion should always go hand-in-hand. At Waterford Crossing, we pair these exceptional people with programs like our Daily Rhythms program, which is embraced by national Alzheimer's advocacy groups. By doing so, we create a place where seniors and their loved ones can find both joy and peace of mind. Family Forum offers support groups for you to ask for advice, share experiences, and find strength from others whose loved ones are also living with memory loss. Caregiver’s Day Off gives you the chance to enjoy pampering services, a complimentary lunch, and an informative speaker at our campus quarterly. LifeShare helps you and your loved one stay connected, no matter where you are. Included on every television, this program allows you to share photos, messages, posts, and more. For those on a memory loss journey, the importance of simple, joyful moments cannot be overstated. Like hearing a song that you danced to with your sweetheart, baking an old family recipe, or even taking a spin in a '57 Chevy that looks just like the one that was parked in your driveway for all those years. These moments have the power to turn confusion into joy, and fear into love. That's why, at Waterford Crossing, we're so passionate about creating these moments for the seniors we serve, every day. Contact a member of our team today to learn more about our Memory Care services.